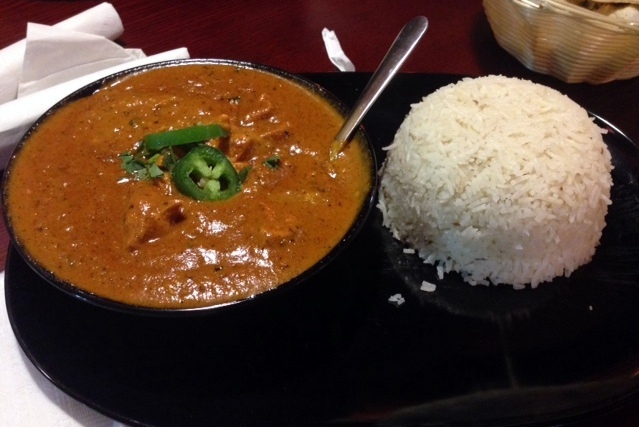 At first, I thought it might be another Masala Wok (yuck), but we decided to give it a try. That was five days ago and we have been back twice more. Yes, we had Tarka for dinner two of the last five nights and the leftovers for lunch for three days…plus we picked up some rice, naan and samosas to complement Indian food we made at home. It’s delicious! The eatery is very casual. You walk in and up to the counter to place your order where you receive a number for your table. Your order is brought to your table for you – again, very much like Pei Wei. We were attracted to the curry menu right away. First, you choose your curry from a list of popular curries (tikka masala, korma, saag, vindaloo and a couple lesser known curries, coconut and mirch masala); add a main ingredient of chicken, lamb, shrimp, veggies or paneer (a type of cheese); and select a spice level of mild, medium or hot. If you already know you like Indian food, I would go with the hot spice level. 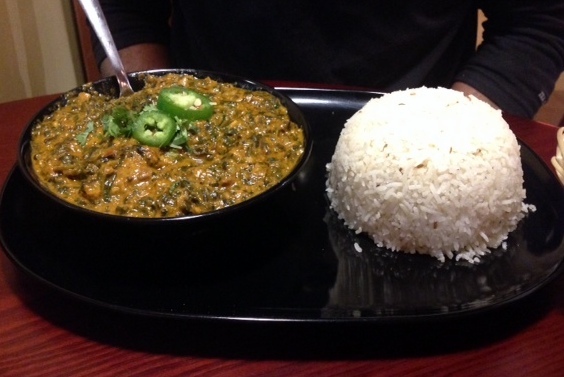 We are creatures of habit, so we ended up with the chicken tikka masala and lamb saag, both at the hot spice level. The curries come with a generous scoop of basmati rice, which is really delicious. Yesterday, I found a cinnamon stick in my rice so that tells me they are making the basmati right and not just using instant rice. We also ordered the garlic naan and the roti. 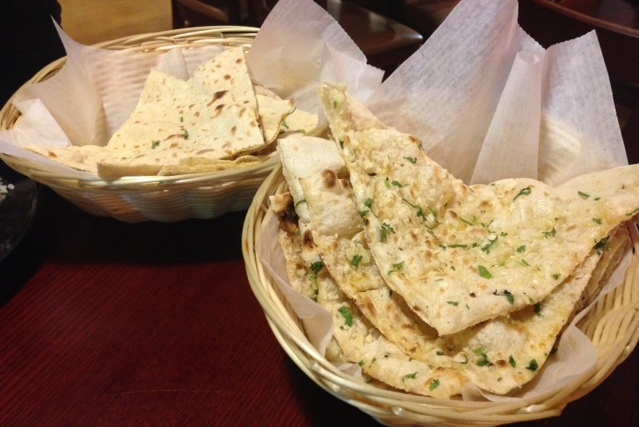 The curries and garlic naan are both amazing; the roti is fine, but I would go with the naan which has a nice buttery touch to it. We also had a sweet lassi and a mango lassi… both really fresh and delicious. I have seen a couple of comments on Yelp about the service not being stellar. I thought the staff was all very nice, helpful and friendly. I am not sure what folks are expecting at a quick, casual counter service restaurant. The cashier answered our questions and the food runners always asked if anything else was needed. Usually, when we need a quick dinner our first stop is Chipotle. I am pretty sure Chipotle is going to be on a hiatus for me over the next few months. We are looking forward to trying the biryanis, the mulligatawny soup, samosas, pakoras and the desserts!